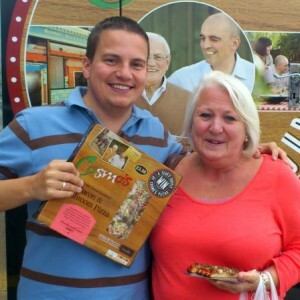 Craig and mum, Myra will be eating our Bacon & Mushroom pizza tonight! 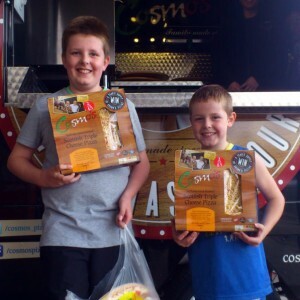 Kieran & Conor from Cambuslang dig a triple! 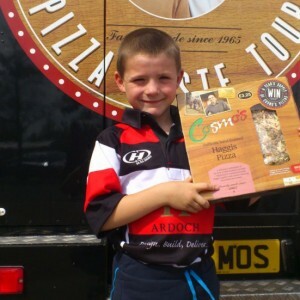 Archie scores a haggis from the Morrison’s in Stirling! 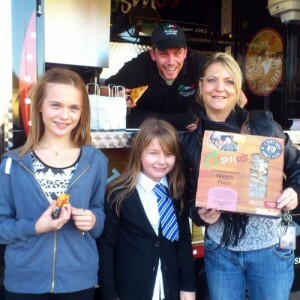 Say hi to Sandy, she’s a huge fan of the Haggis Pizza! 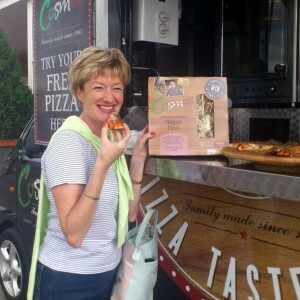 Ciara loved the slice so much, Mummy got her one of her own! 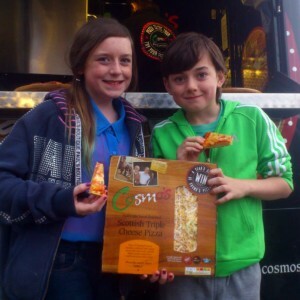 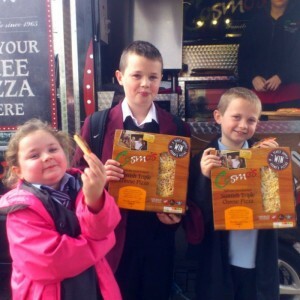 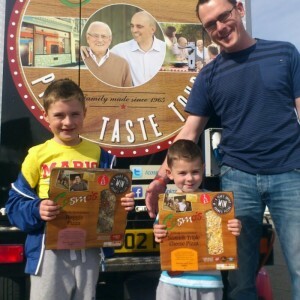 The Strathaven Scottish Triple Cheeses – Jack, Callum & Maddie! 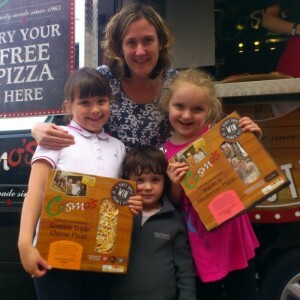 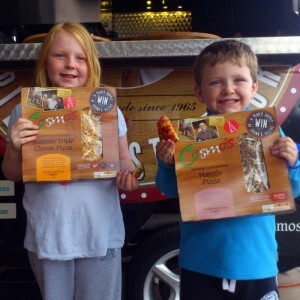 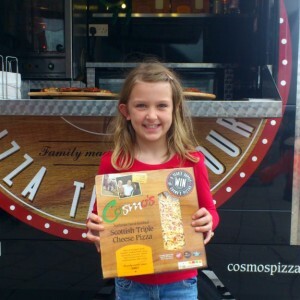 The Triple Cheeses – Sophie, Jessica & Connor! 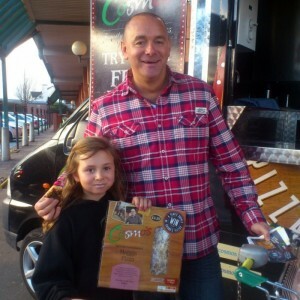 Derek & daughter ready for pizza & X-Factor!